I received this book before publication in exchange for an open and honest review. I've read great things about this book online and they are very much deserved. 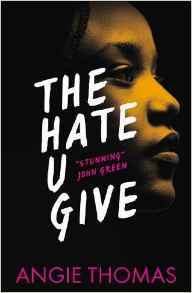 It's not an easy book to read because Angie Thomas deals with the subject of the Black Lives Matter movement exactly as it should be - honestly and without anything held back. A main strength of this book is the voice. I loved Starr's character so much! She came across as realistic because she didn't have all the answers straight away. The book dealt really well with her struggles over doing what she thought was right and navigating where she fit at school and in her home community. This book really made me think about privilege and social justice in a way that no other book has done before. I think it's so important for fiction to explore these issues and make people look at their own viewpoints. These ideas came through the narrative at times in ways that were subtle and other times very explicit, but always authentic and with feeling. I thought the link to Tupac's song lyrics added a really interesting dimension, as I'd heard his songs before without realising what they actually mean. 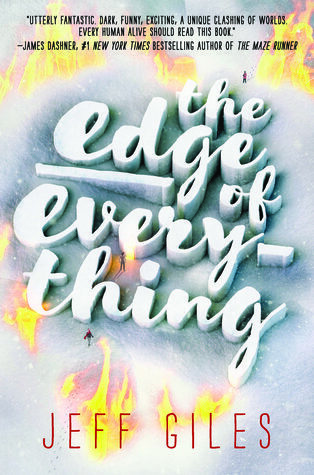 Another strength of this is that the story is thrilling and high stakes, with rising tension, but is also balanced with lighter and sweeter moments. The relationship between Starr's mum and dad was so touching and I really appreciated how there were actually present, important adults in this unlike a lot of YA. I thought that prejudice was dealt with really well and that it examined different points of view. The terrible event of Khalil's death was dealt with openly and sensitively and the fallout afterwards was heartbreakingly believable. Everybody needs to read this book. it really made me think and raised the profile of many issues that need to be discussed, especially in the current political climate. Because you'll never meet me was a book that was recommended to me at YALC and I started reading without knowing much about it. It's still one of my favourites and is a book that has really stayed with me. 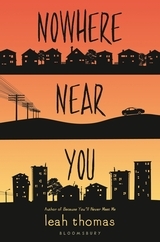 'Nowhere Near You' had just as strong an emotional impact on me. I adored Ollie and Moritz in both books, especially the way they compliment each other. 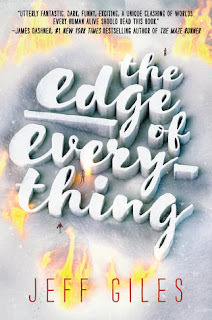 It's a really interesting idea to blend real conditions with science-fiction elements and it was great to see how their characters developed over this book. The letter writing format continued to work really well, allowing the characters (especially Ollie) to withhold information and for their stories to unravel in pieces. Their voices are very distinct from one another and also come across as very realistic. One of my favourite aspects was how this book maintained the emotional highs and lows that characterised the last book. Nowhere near you upped the ante by testing Ollie and Moritz with new circumstances and their continued separation. This is a warm, emotional book that made me think and made me love these characters even more. If you liked the sound of this, now try Miss Peregrine's Home for Peculiar Children by Ransom Riggs. I didn't know much about this book when I started it and I found it electrifying from the beginning! One of the best things was that there were high stakes and a lot of conflict from the outset. I also found the concept of the book unique. I enjoyed the opportunity to explore X's life in the Lowlands and the moral battles he faced. This book went into some very dark places and didn't shy away from difficult subjects. I wasn't keen on a couple of plot points, but overall I found the story very strong and exciting. I loved the contemporary feel blended with original, fantastical elements and I'm already looking forward to the sequel! I didn’t know what to expect from this book, except that I found the blurb super intriguing. The Cruelty is one of the most exciting books that I've read for a long time. It's fast paced, disturbing and utterly gripping. 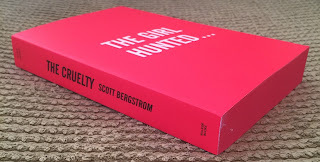 I've never read a YA thriller that deals with a frightening underworld of criminals in such a believable, visceral way. Gwendolyn is a brilliant character, who has to explore some very dark places in the world and inside herself to seek her father. It was fascinating to watch her develop and I loved how the book made me think about the moral dilemmas that Gwendolyn faced. She also meets some fascinating characters on her journey, all of whom felt realistic and well-developed (even those she met for only a short time). The settings were another real strength. Over the course of the book, there were some incredible locations and the descriptions captured them in vivid and sometimes terrible detail. This is a dark, unique and thrilling book. At the time of writing this blog, the ebook is only 98p on Kindle - go go go! If you liked the sound of this, now try the Blood for Blood trilogy by Catherine Doyle. I read this book as part of the British Books Challenge 2017. I’ll definitely be picking up more Juno Dawson books after reading Cruel Summer! This came highly recommended on Twitter and I was so excited to read a YA horror! 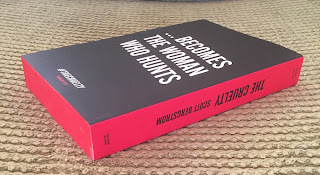 It's a fast paced, funny and also very tense book that reminded me of the best Point Horrors. I loved all of the main characters (especially Ryan). The structure of alternating between their third person viewpoints worked really well, especially as the end drew near and I was trying to work out who the killer was. This was a very well-plotted book, with good use of clues and flashbacks that left me guessing until the end. There were a couple of plot points that I questioned (such as why they didn’t leave immediately when they realised one of them was a murderer), but overall the plotting was great. I also liked the fact that Ryan thought of his life like a TV show, as this felt very fresh and it gave the book a cinematic quality. It only took me a day to read this book because I found it so engrossing. If you want a fun, action-filled horror then this is the book for you!